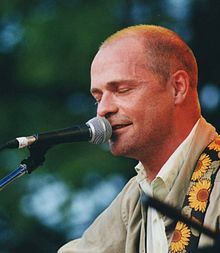 ^ "Gord Downie- Albums". Retrieved October 18, 2017. ^ Barclay, Michael (October 18, 2017). "Remembering the life and legacy of Gord Downie (1964 – 2017)". MacLean's. Retrieved October 19, 2017. ^ "Edgar Charles Downie Obituary". The Whig Standard. 2015. Retrieved October 19, 2017. ^ Barclay, Michael; Andrew, Ian; Jack, Dylan; Schneider, Jason (2011). Have Not Been the Same: The CanRock Renaissance, 1985-1995. ECW Press. ISBN 9781554909681. Retrieved June 6, 2013. ^ "The Tragically Hip". 2010 Canada Music Hall of Fame. Retrieved March 29, 2012. ^ "The Tragically Hip Biography". Starpluse.com. Retrieved March 30, 2012. ^ Wilson, MacKenzie. "Gordon Downie Biography". Yahoo! Inc. Archived from the original on July 29, 2012. Retrieved March 30, 2012. ^ "NME Videos". Nme.com. October 9, 2015. Retrieved December 14, 2015. ^ McKay, Conor. "City And Colour: 'Sleeping Sickness'". NPR.org. Retrieved October 19, 2017. ^ Khanna, Vish. 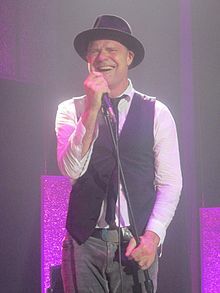 "Gord Downie Sheds Light on Collaborative Album with the Sadies". Exclaim!. Retrieved March 30, 2012. ^ "Board / Stewards — Lake Ontario Waterkeeper". Waterkeeper.ca. Retrieved December 14, 2015. ^ "Media Alert: Lafarge denied: Cement company's motion for leave to-appeal denied in alternative fuels case". Newswire. CNW. Retrieved April 18, 2015. ^ Boyden, Joseph (February 29, 2012). "North of the 52nd with the Tragically Hip". Maclean's. Retrieved March 30, 2012. ^ Woods, Allan (August 24, 2016). "Gord Downie and the Hip gone fishin' in northern Ontario". The Toronto Star. Retrieved October 18, 2017. ^ "Downie takes to Parliament Hill to speak out for Canada's Indigenous Peoples". TBNewsWatch.com. Retrieved October 16, 2017. ^ Friend, David. "Gord Downie chosen as Canadian Press Newsmaker of the Year". Global News. Retrieved December 23, 2016. ^ "Gord Downie appointed to Order of Canada". CBC News. June 19, 2017. Retrieved October 18, 2017. ^ "Tragically Hip singer Gord Downie has terminal cancer, band plans tour 'for Gord'". CBC News. Retrieved October 18, 2017. ^ Noronha, Charmaine. "Canadian rock band The Tragically Hip holds final show". The Associated Press. Retrieved August 21, 2016. ^ Vozick-Levinson, Simon (October 18, 2017). "Gord Downie, a Canadian Rock Legend, Sings Goodbye". The New York Times. Retrieved October 25, 2017. ^ ""Tragically Hip's Gord Downie has terminal cancer"". News 1130. May 24, 2016. Retrieved August 26, 2016. ^ ""Gord Downie says family life influenced new solo disc"". CTV News. June 6, 2010. Retrieved August 26, 2016. ^ "Justin Trudeau delivers emotional, tearful tribute to Gord Downie". Global News. Retrieved October 19, 2017. ^ "Canadian Albums". Billboard. November 12, 2016. Retrieved October 23, 2017. ^ "Future Releases on Triple A (AAA) Radio Stations". All Access Music Group. Archived from the original on February 27, 2014.